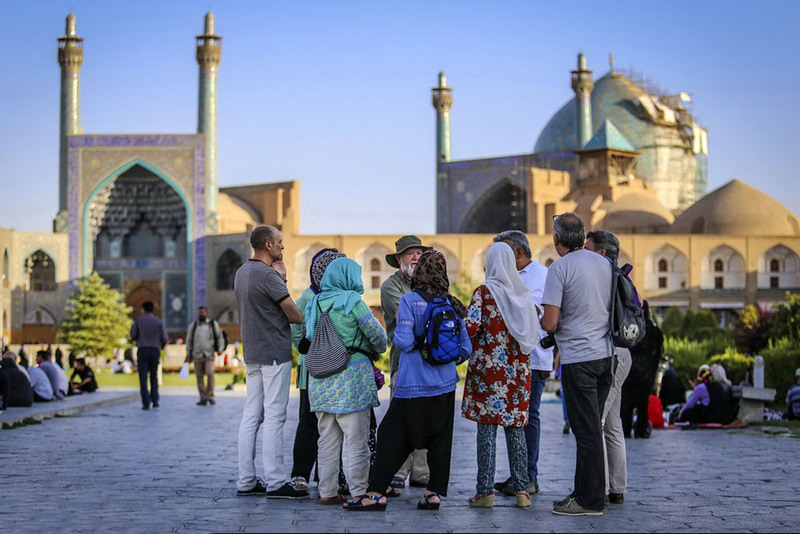 If you have an American passport and only an American passport, Iran is not the easiest destination you can choose for your vacation. You need a licensed tour guide to accompany you during the trip. The same is true for British and Canadian citizens. Nevertheless, unless you read the rest of this piece, you will miss the chance of, at least contemplating about, a journey of a lifetime. Like most Americans do not swear as much as movies show and not all Canadians are afraid of the dark, nor is Iran what the media portray. Iran is actually a relatively modern country with a young educated population. 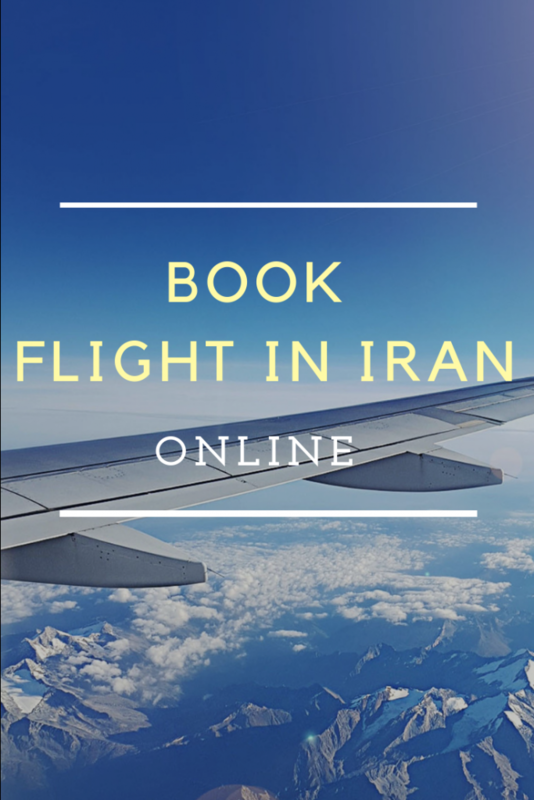 Here you can find everything for travel to Iran as an American or British and Canadian citizen. It is no secret that the diplomatic relationship between Iran and the United States and similarly with Great Britain and Canada is less than trustworthy and warm. The foreign ministry has projected to lift visa requirement for many countries in the coming years. One can safely bet that these three will not be on the top of that list. 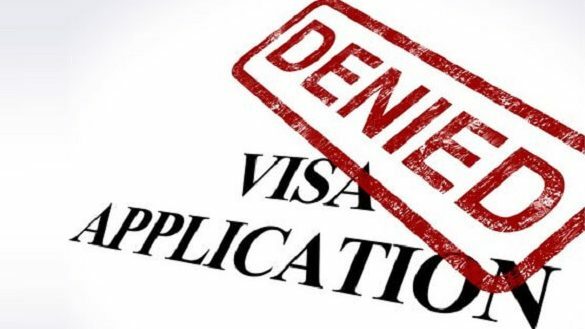 Nonetheless, only a small number of people who apply for an Iranian visa are rejected. I cannot cite any statistics because such numbers are not available. Yet you can contact the consulate in Washington DC and if you get past their usual evasive and diplomatic tone, they will reassure you with similar figures. The real obstacle, it seems, is the uncertainty of the outcome and the long and seemingly complex bureaucratic process. Who Can Travel to Iran? No country, including the United States and Britain, has imposed a ban on its citizens to visit Iran. From the Iranian side, only Israeli passport holders cannot obtain an Iranian visa. Iranian officials have eased the process of obtaining a visa for nationals of many countries. Nationals of over sixty countries can obtain a visa on arrival in selected Iranian airports. Americans, British, and Canadians are not among them. For nationals of these countries, it is obligatory that a tour guide accompany them. There is a point worth mentioning here; while the Canadian and British can have different tour guides for each city they visit, Americans should be accompanied by only one licensed tour guide during the whole trip. You can hire your guide with 1stQuest for cheap prices starting from €45 per day. Contact our support team to help you with the process. 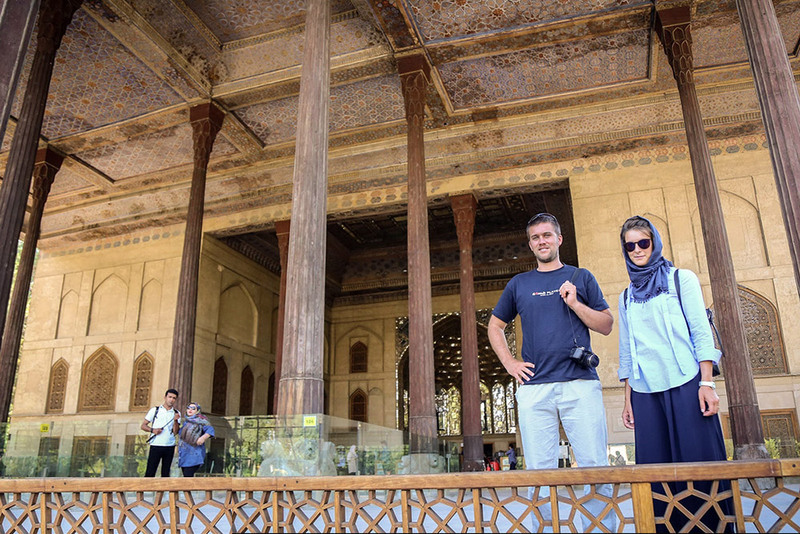 Other than hiring a licensed tour guide, American, British and Canadian travelers need to reserve hotels in Iran in advance and pass their name to MFA when applying for Iran visa. How to get an Iranian Visa with an American Passport? 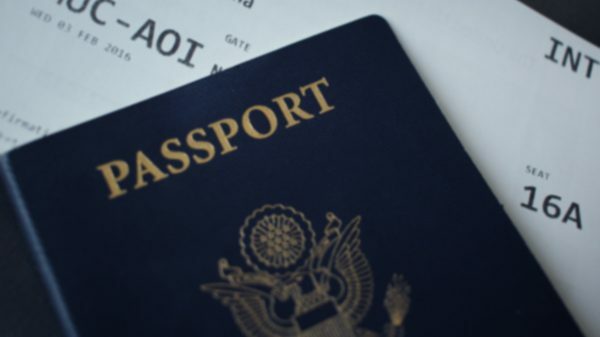 The process of applying for a visa for an American, Canadian or British citizen is as follows: contact an authorized Iranian travel agency and provide a copy of your passport and the needed information. 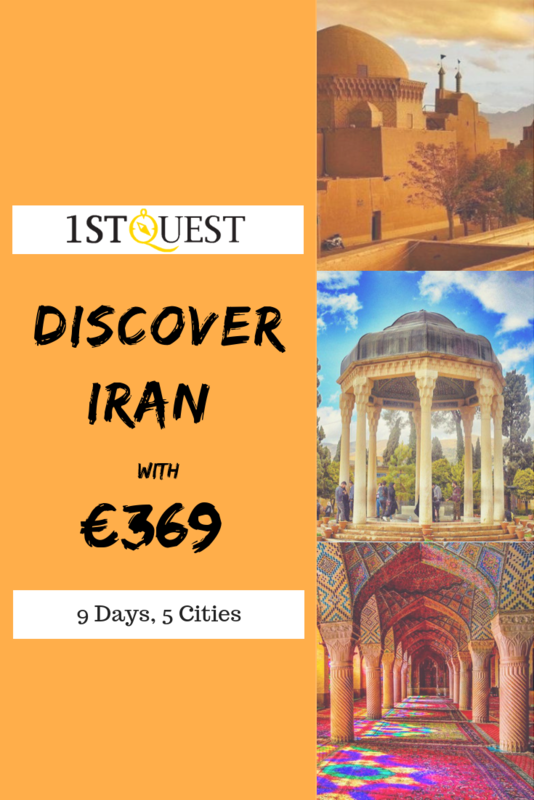 This can easily be done online with 1stQuest Iran entry visa service. Accordingly, the travel agency will contact the Iranian Foreign ministry on your behalf and request an authorization code for you; once you have your code, the rest is just to collect your visa. 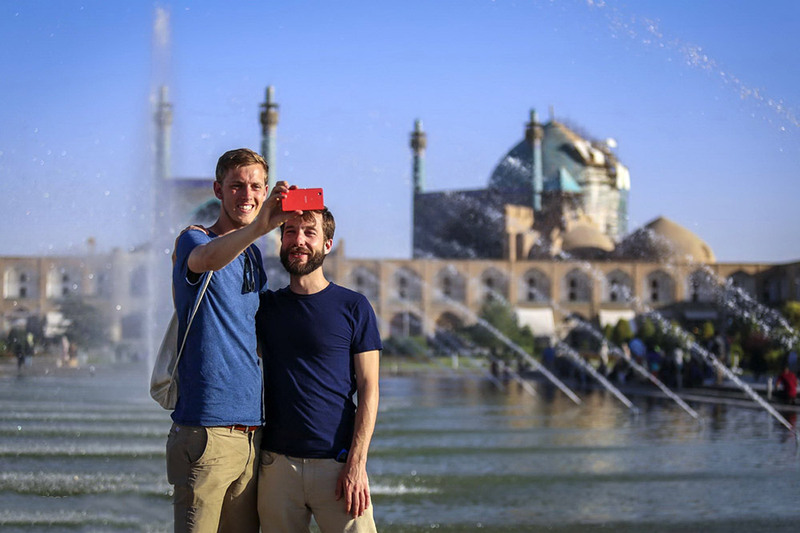 Unlike other nationalities, Americans, Canadians, and British can’t collect their visa from the international airports in Iran. Instead, they must either hand in or mail the required documents and forms, e.g. authorization code, passport, and photos, to an Iranian embassy or consulate. Iran has no embassy or consulate in the US, but there is an Iran’s interest section at the Pakistani Embassy in Washington DC. Also, you can refer to the Permanent Mission of the IRI in New York. It is also possible to collect your visa from an Iranian consulate/embassy in another country (e.g. Italy, France, Turkey, Germany, etc.). Wherever you plan to collect your visa from, make the needed arrangements before going there. 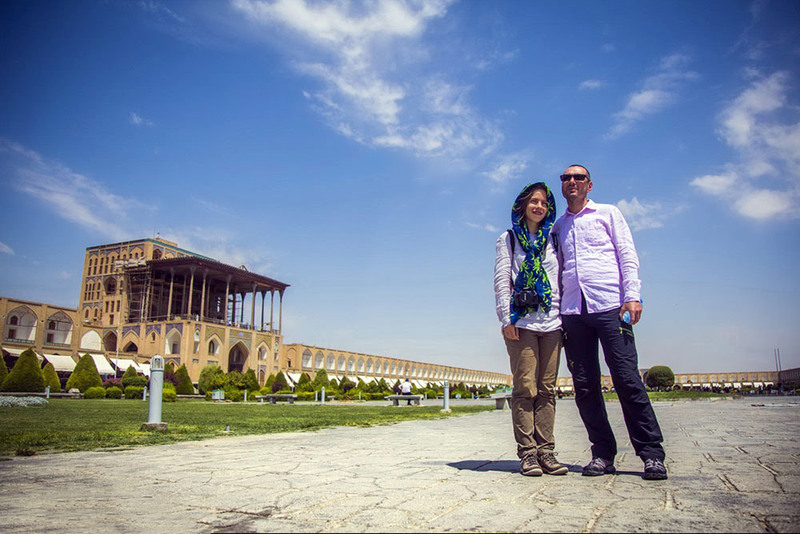 Read Jess’s experience on obtaining Iran visa on her blog. How Long Does it Take to Obtain an Iranian Visa? The processing time for the initial step of Iran visa application may take up to weeks. David Cook, associate professor of Islamic Studies at Rice University, who has been to Iran three times, wrote to me in an email that he is “jealous of the Australian and other tourists in Iran who can go where they want.” He describes the visa process on two of those occasions as “drawn-out and kind of a nail-biter, but when it was approved there was absolutely no problem.” Depending on the season and the number of applicants, the processing time for the initial step of your Iran visa application may take up to weeks. Past experience shows that those applying from an agency get their code faster. With 1stQuest, the applicants normally receive their authorization code in 2-3 weeks. Anyhow, please allow enough time for unforeseen delays and also be aware of Iranian national holidays as the Interest Sections of Iran and all Iranian consulates observe them. 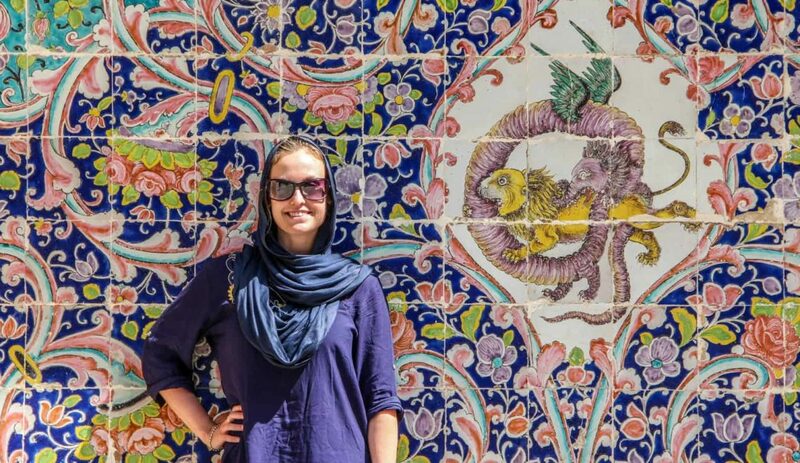 Is it Safe to Travel to Iran as an American, British or Canadian? Yes, absolutely. In terms of safety, crime rate is in same level as one finds in west Europeans countries. Upon doing a Google search, you might find reports of petty thefts which are common everywhere. All travelers, men, and women are advised to avoid being alone at night. In this light, American, British and Canadian travelers are to heed the same precautions as all travelers to Iran. In general, Iranian people have a favorable view towards westerners. Why the Heck Come to Iran? When most Americans do a Google search about visiting Iran, one of the first results that pop up is the States Department’s strict warning against traveling to Iran. Truth be told, one can contest this warning from a diplomatic or geopolitical point of view. I, on the other hand, would like to contest it from the point of view of an ordinary American. Iran is a regional power in the Middle East, a region that has been important to the United States for decades. Any informed and engaged citizen should know about Iran, its people and history. For that, I shall let you have a glimpse through the eyes of one of your compatriots. Iranian women do not wear burqa. Men in Iran do not wear short trousers, yet T-shirt is very common especially during the warmer seasons. Women need to cover their hair, arms and legs and wear a knee-length Manto or similar dress. As a picture is worth a thousand words, take a look at how Iranian women dress. What to Expect from a Guided Tour? Many people advise against guided tours, arguing that they are overpriced and give you little freedom to find things on your own. While this may be true in many cases, in Iran you have the chance to negotiate what kind of transportation and accommodation you prefer. You can also choose what cities you wish to visit. If you book a group tour, it will be far less expensive. As an individual, you will have more flexibility to customize your visit. Your companion should be licensed by the government; It isn’t as strict as it seems though; rest assured, you can easily move around, take as much photos and videos as you like, eat where you like and converse with locals if they speak English. You will be amazed by the number of kids and teenagers who are not the least bit shy to spatter a quick hello, probably the only English word they know, and how everyone wants to take a photo with you. Your guide, on the other hand, will speak very good English. Probably in his/her thirties, about two-third of Iranians are under 35, and with a few years of experience, he or she will pack your head with details of history and architecture. They will also be eager to answer your questions about daily life and to know about your way of life. I got my Visa; Can I drive to Iran? Not really. Based on a recent update on Iranian government’s regulations and policies, Americans, Canadians, and the British cannot bring their cars to Iran. This might seem like a bad news at first, but to be honest driving in Iran would not be easy at first for a foreigner. It would take a while to learn how Iranians drive. Iran definitely worth a visit even with a guide. I traveled to Iran last year and I can’t wait to go back again. Hi Helen, I’m really glad to hear that, hope to see you in Iran. Have the airplane solution as well as journey safe.